If you’re anything like us, the first thing you want to do when you boot up a new Mac for the first time is install lots of great applications on it. The problem is knowing which ones to install. Sure, you could look at the App Store and try to decide which are best for you, but there are so many apps on there and, even though Apple does its best to highlight its favorites, choosing the right ones for you can be hit and miss. As said, you can just dig around. This is a long journey, but in the end you figure out what works for you. Or, you can go for an out-of-the-box solution that does it all. Setapp is a good example of how you get all starter apps at once by installing a single app. Whether you need apps to inspire creativity, boost productivity, carry out maintenance, or protect your data, you’ll find apps on Setapp for the task at hand. Here’s are some of the essential new apps for Mac, categorized by function. Exactly the way that suits your flow. This is how you can work on a Mac with BetterTouchTool. The app fully customizes your input devices – from touchpad to keyboard. Unveil general adjustments in the Basic Settings and start using those that you find handy. Add custom gestures and app-specific shortcuts to accelerate your performance even more. Once you’ve installed a few apps, you’ll notice your Mac’s menu bar becomes quite cluttered. Bartender allows you to take control of your menu bar and keep it tidy. Install it and it replaces all your menu bar items with just one, if you choose. Or you can have it show menu bar items when they update. You can reorder menu bar items however you choose, search for items from within Bartender, and even hide the Bartender menu bar item itself. Old or new, your Mac will always be filled with files and actions. And not all of them you need to apply immediately. Stash files for later and save actions in one handy digital pocket called Dropzone. With robust drag and drop capabilities at its core, the app helps you streamline all tasks you regularly complete on a Mac. Bundle together the favorite processes. Combine groups of similar files. Add ready-to-use commands or create your own based on Ruby and Python API. Dropzone eliminates all the hustle, leaving you with an organized grid of actions. Learn to take the cleanest screenshots on your new Mac. CleanShot is an easy-to-use screen recorder that eliminates all the clutter from your desktop before capturing. Hide icons or set up a custom wallpaper, easily preview your screenshots from Quick Access Overlay, share instantly. Your Mac is your big workspace. With tons of small workspaces. The chicken-and-egg problem aside, personalizing each of these workspaces helps you work faster and easier. Switchem groups your apps by tasks, building a smart, coherent workflow. To make your favorite apps even more accessible, try Mosaic. A handy window manager for Mac, the app helps you pick ideal layouts and define apps’ behavior for convenience. A dock on your Mac is the entry point for everything. Apple’s native Dock, however, doesn’t always predict your needs, displaying the apps you simply forgot to quit or hardly ever used. uBar is a great alternative that you can install on a new Mac to fully personalize your dock. From marking as favorites to defining the order of apps. Ensure your Mac’s desktop has a clean start and a clean life. With apps like Declutter, you can clear away the mess in seconds. Create smart folders and set them to collect specific types of files. That’s it. 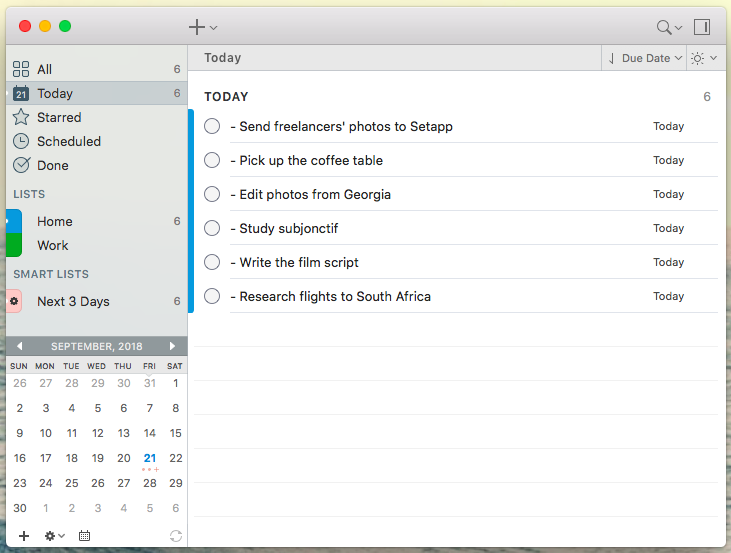 Each time you click Declutter Now, the app will automatically organize all desktop items by folders. Out of all task managers, pick the one that adapts to your way of solving problems. 2Do is one of the most flexible solutions for newbies, because you can fully customize it from the start. Create smart lists and list groups, align groups of tasks with specific projects, and sync across devices. Instead of creating a new flow for you, 2Do supports the flow you love and want to have in your Mac’s life. There’s much to save and share when you get a new Mac – not so easy to keep track of everything you copy, though. We know you pain and you can solve it with Paste. Get access to the complete clipboard history, including links, images, screenshots, and whatever you copy. Alternatively, get a sticky notes app, Unclutter, that keeps all items you copy in one place – an area on a desktop. Quick access, minimum fuss. You probably have tons of files you’d like to transfer from iPhone to a new Mac. Well, photos for sure. Get AnyTrans, an all-embracing data transferring app to do the job. Not only does it quickly move content across all devices, you can also create instant backups to never lose any of your data. How much are you willing to overpay for a new Mac only to get enough storage? You could pay quite a lot. Or, get CloudMounter that will expand your hard drive, providing nearly unlimited amount of free space. The app connects cloud storages to your computer as local drives. As long as there’s internet connection, you can freely use storage and not to worry about running out of space. A great way not to let your new Mac grow old. Just to make it clear, it’s not a timer. Be Focused is a full-fledged productivity coach that keeps your daily tasks under control. A vital tool if you’re just starting to work on a Mac. Create tasks and personalize work sessions, based on your workflow. The app has in-built analytics to help you track progress and plan how you achieve goals. But come on, this is a new Mac. With so many stunning apps and online attractions, it’s nearly impossible to stay focused on work. That’s where site blocking solutions come to help. Focus is a nice addition to your Mac if you want to deny access to specific apps or websites that are particularly distracting. To avert your attention away from desktop clutter and pop-ups, you could additionally install HazeOver, a screen dimmer for Mac. 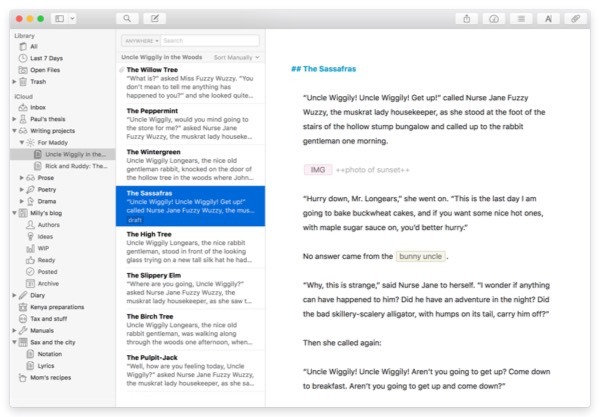 Ulysses is among the best writing apps on any platform. The Library allows you to keep everything you write from blog posts to the outline of that novel you’ve been meaning to start all in one place and organized into projects. The Markdown editor makes formatting text a breeze, using characters that are at your fingertips on the keyboard and the distraction-free writing mode makes sure you stay focussed. If you’re writing a blog post, Ulysses can publish directly to Wordpress or Medium. Or you can export to PDF or eBook format. Buy the separate iOS app and you can use Ulysses on your iPhone or iPad, and keep everything in sync via iCloud. 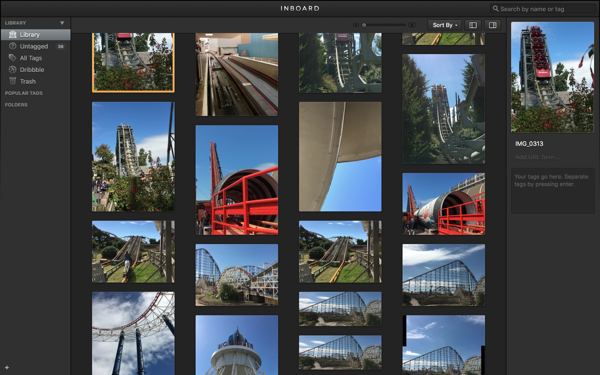 Inboard is a brilliant tool for taking and organizing screen grabs as well storing just about any image you have on your Mac. And if you use Dribbble, you can import your likes from there directly. Inboard supports just about every format you’ll need, including PSD, AI, EPS, and, of course, JPG, PNG and PDF, as well as TIFF and GIF. Once you’ve imported images, you can organize them in folders and tag them. Best of all, Inboard displays images in a masonry view, where images are stacked on top of each other and row heights are not fixed, just like Pinterest. It looks stunning! Your Mac can also take a good care of your daily expenses, keeping track of bills and budget planning. Set reminders for every payment you have to make in the nearest time with MoneyWiz. What’s more, you can use the app to plan budget, monitor transactions from one place, and receive spending forecasts. Docs can hamper your productivity. Especially if you have to make edits to PDFs, where text seems to be carved in stone. Accelerate your work with PDFpen, a powerful editor that enables you to make changes, add notes and images, as well as erase sensitive data in PDFs. 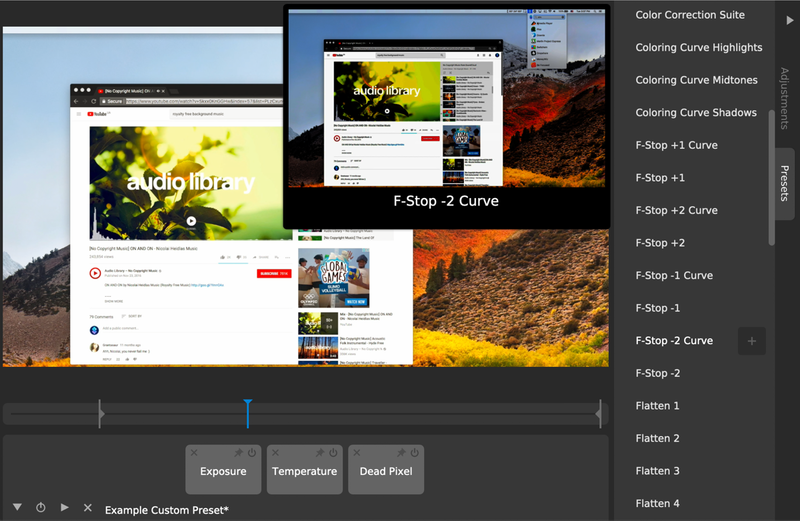 Think about the future of your media content on Mac. While macOS default apps are good for such basic operations as playing music and video, there’s definitely room for improvement as well. In contrast to Apple’s native alternative, QuickTime, Elmedia Player supports virtually all media file types. Plus, it’s a handy YouTube downloader that instantly delivers ad-free videos to your Mac. While we’re talking about entertainment, it’s impossible to ignore messengers. Before you start filling your Dock with Slack and Telegram logos, here’s a hack: install IM+ and use it as a messenger box – one app that includes all your favorite communication channels. If you’re thinking Instagram is exclusively an iPhone thing, you’re very mistaken. And you can break the stereotype with your new Mac. Flume is an app that preserves all mobile functionality of Instagram on Mac, including direct messages and sharing. The only difference, it’s looks a bit more beautiful. You’re a news hound and own a Mac? A good news reader is absolutely worth adding to your Dock! Whether you want to keep with the latest news, breaking stories on your favorite RSS feeds, Wordpress blogs, or Twitter accounts, News Explorer has you covered. Auto-discovery makes adding feeds easy — just start typing the URL and News Explorer will do the rest. You can mark feeds to save for later, share them on social media or sync them via iCloud with the iOS version of News Explorer. Feeds can be filtered and viewed in different layouts, and a choice of themes means you can set it up exactly the way you want it. A new Mac could be a perfect machine for your artistic creations. Bring tons of images together in one beautiful timelapse. And you need absolutely no previous experience to get into it with GlueMotion. While the application is designed for professional use, there’s no limit on how many images you can process at a time. Batch edit, eliminate flicker, and create professional-looking timelapses. Continuing the theme of macOS photography, here’s one more must-have app for your new computer – TouchRetouch. Whether you want to cover up a logo, adjust color, or remove unwanted objects, the app takes your photos to the new level. Test TouchRetouch alongside CameraBag Pro, and get a perfect photo editing suite for your new Mac. Everyone needs a photo editor from time to time, but why fork out for Photoshop when there are so many alternatives? For example, CameraBag Pro allows you to do everything you would expect of an image editor such as resize, crop, and adjust the color and lighting in photos. But it also has lots of built-in filters and effects. Setting up your new Mac means signing up and logging in to a good deal of your existing accounts. A bold alternative to 1Password, Secrets helps you make this experience not only stress-free, but also absolutely secure. Create passwords that no one ever cracks and store them in a single vault on your Mac. It’s also way faster to access your apps with Secrets if you allow the app to sign you in automatically. After you’ve been using your new Mac for a while, its storage drive will quickly fill up with all sorts of files. Install CleanMyMac X and set it to Scan; it will quickly tell you what files you can get rid of and how much space it will save. It will also delete the files for you and optimize your computer overall for the best performance possible. When it comes to uninstalling apps and System Preferences panes, it’s the perfect choice too — it not only deletes the app binary, but all the associated files too. Sure thing, you’ll be spending lots of your time in your email app. This is why it’s a good idea to prepare for a pleasurable emailing experience beforehand. Canary Mail is a supercharged version of a basic mail app that can substitute the Apple’s default. It allows you to align mails with daily tasks, save templates and signatures, and integrate with iCloud to easily transfer files. Sharing screenshots on your Mac could be a cumbersome process if there are too many. Dropshare gives you freedom to save and quickly send screen captures. The app integrates with a cloud hosting provider of your choice and adds passwords to the links you send. A foolproof way to share screenshots without risking your security. Checking your Mac’s vital stats is easy with iStat Menus. You can monitor CPU and GPU usage, RAM disk activity, temperature, fan, and power sensors, as well as traffic on your network. If your Mac starts to run slowly, there’s no need to sit and wonder what’s going on. A quick glance at iStat Menus will tell you where the trouble is. Time Machine is a great backup tool but you should never rely on having just one backup — if that fails, you’ll be in trouble. Get Backup Pro is a perfect addition to your backup strategy. You can use it to make regular, scheduled backups, copying only the files that have changed since the last backup. Or you can clone your entire Mac, meaning if the worst happens, you can just plug in the clone and boot from it. 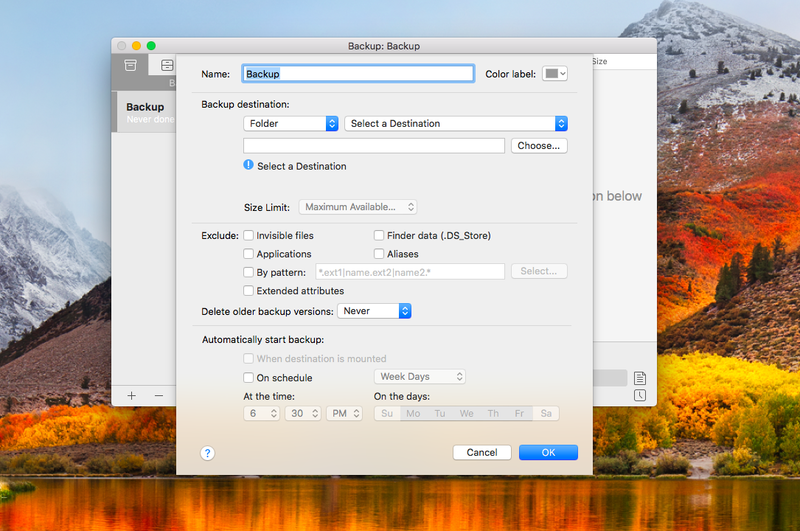 Get Backup Pro also allows you to synchronize files with other Macs on your network. WiFi networks are essential for productivity, yet so often they are hit and miss. One minute they work fine, the next they grind to a halt. 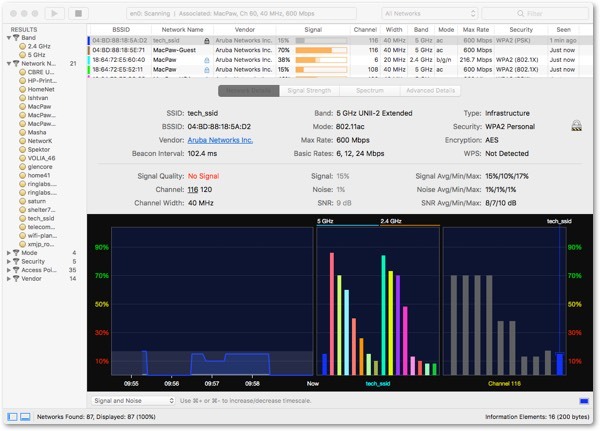 WiFi Explorer allows you to monitor all the WiFi networks in your vicinity and work out what’s going on. Data is presented in easy to understand graphs that you can customize so they show you activity in colors you choose. And the troubleshooting section makes fixing problems very straightforward. All these must have applications for Mac will make your work and life much easier, from optimizing performance to helping you scratch things off your to-do list. And, best of all, all of them are available for free on Setapp. Just try these apps to see how they can improve your day-to-day.